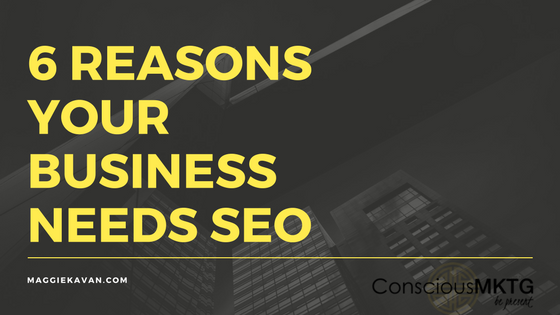 Non-technical reasons why your business will benefit from SEO. Like many acronyms today, you may have a vague idea of what SEO means. People name drop it all the time and use it interchangeably with ideas such as email marketing, social media management, keyword optimization, blog writing, link building and more. Truth is, it’s kind of an umbrella term which covers these topics and many more. Search engine optimization (SEO) is the practice of attracting high quality, relevant traffic to your site from the organic, unpaid section of the search engine results page (SERP). 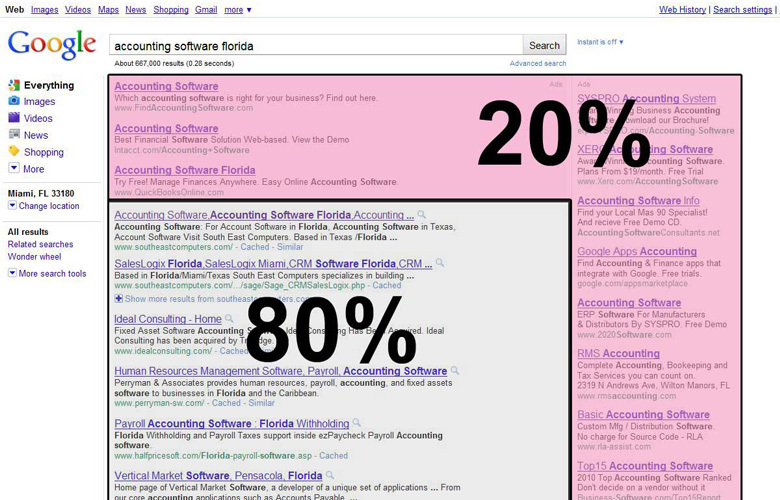 In the picture below, you can see what sections of the SERP are paid vs. unpaid. Just because the paid section is marked in red, doesn’t mean you don’t want to be ranked there also. I will say though that the unpaid section gets clicked on 95% of the time so it’s not a bad place to be! Breakdown of organic and paid search results. I like to explain SEO to business owners like this: think of throwing a house party. 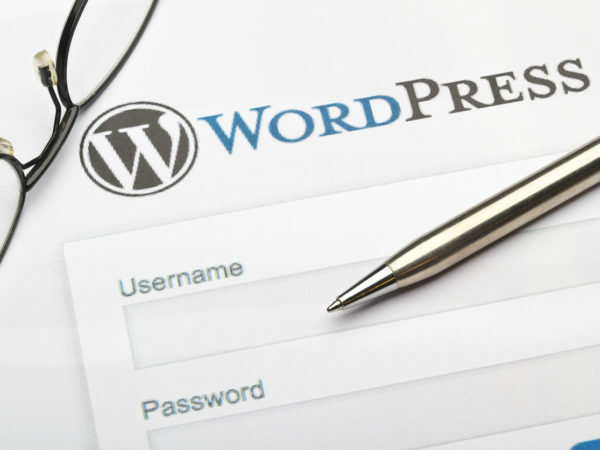 Now think about your website as the house. SEO efforts are your invites to the party. Without invites, no one is going to show up to your house! You may have a loyal customer base, and get occasional referrals or passersby (especially if you have a brick and mortar storefront), but you can do more! Another way to think about this: Google and other search engines don’t trust you until you put in the time and elbow grease. Over time, you will earn trust to show you’re not some slime-ball company that just slapped together a website. According to Bright Local, in 2017 only 5% of people nationwide have never searched for a business online. They go on to say that the 95% of people who do use the internet to search for businesses, do so at least once a month! That’s a lot of searches that you could be ranking for. Search engines are getting more intuitive by the second. Google can return relevant results for your search query in a quarter of a second! This not only works to your benefit as a user, but also as a business looking for customers who are more likely to purchase. There are nearly 290 million internet users in America. Of the number, Global Stats says that Google has the lion’s share of most internet searches – more than 88% of people in the US turn to Google as their trusted Search Engine. Bing is second with almost 7% and Yahoo third with a little over 3%. So it’s no surprise that people talk about pleasing Google so much! Get on Google’s good side and you will have A LOT of eyes on you. If you’re well-versed in website coding and Google algorithms, you can do most search engine optimizing for free. Even if you can’t, SEO is cheap advertising when you look at radio, television, sponsorships, and phone books by comparison. It’s even cheaper than AdWords or other pay-per-click (PPC) campaigns. Rank Executives state that in 2017, out of 1,000 clicks to your website from PPC, 2% of visitors will convert into a sale. Out of 1,000 clicks from SEO, 4% will convert into a sale! Relevant, current, and high-quality content are not only beneficial to Google’s search algorithms, but readers like to see it too! 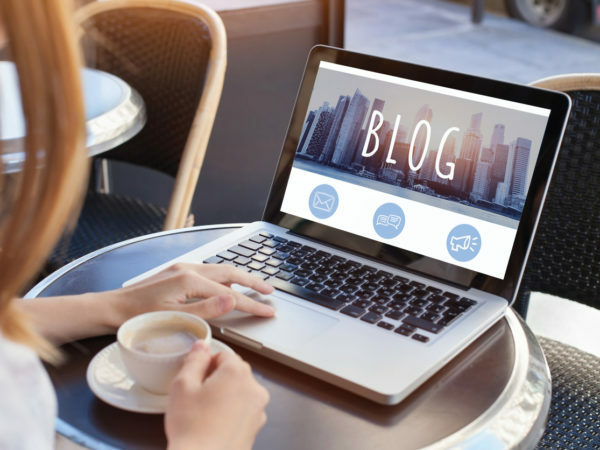 Having professionally written content for your brand makes you look like a trustworthy expert in your field and gives users a reason to return to your website. While no search engine specialist or digital marketer can ever promise you a top spot on Google, I can tell you this: SEO delivers over time. We know this because of a beautiful thing called analytics. Tracking codes, call tracking numbers, website visits, email sign ups, impressions and placement on the search engine results page are hard to fudge! Depending on the time or resources you put into it, you may see results in as fast as three months or it may be closer to a year. The trick is to be consistent with what you’re doing and not cut corners. Consistency makes you more trustworthy to Google (to other people too!). 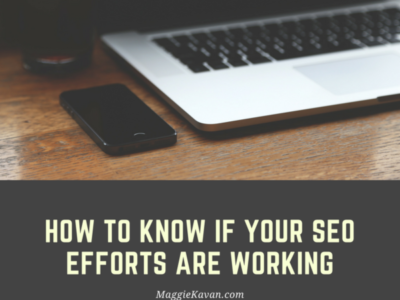 With solid SEO efforts, you can expect and SEE continued progress month after month. There are easily hundreds of more reasons why your business could benefit from having an SEO expert in your corner. We would love nothing more than to see small and medium-sized businesses climb the search engine ladder that is Google. Let’s talk more about how we can get you there!